Before applying for an Iranian visa, you have to make sure that your documents meet Iran visa requirements and consider all MFA standards for digital pictures that you will upload onto the e-visa website. Any incompatible uploaded file can lead to visa refusal. If you intend to visit Iran you have to apply online for the Iran visa and receive the authorization code or Iran visa grant notice via email.  To get this visa approval, you have to have a valid travel document, which has at least 6 months validity. An acceptable travel document is: an ordinary passport, service passport, diplomatic passport, refugee passport, travel document, or laissez passer. Your passport information page should be scanned and uploaded alongside a digital recent photo of yourself. You also need to declare your trip itinerary, purpose of trip, home address, telephone number, and a valid email address. A travel document valid for at least 6 months + digital picture (scan) of its information page. A recent personal digital picture. To get your Iran VOA, you have to apply online for the visa before your departure and have received your visa grant notice or at least your visa submission notice. Also, it is required to have valid travel insurance. Finally, you have to pay the visa fee in CASH in Euros or USDs. A travel document valid for at least 6 months. The digital image of your passport or personal photo is a vital part of your Iran visa application. To learn more, review the information below from the MFA on how to provide a suitable digital image. The acceptance of your photo is at the discretion of the Iranian Embassy/Consulate where you apply to collect your Iranian visa. clear and all characters must be readable. There must not be a glare on the eyeglasses that obscures the eye(s). There must not be shadows or any refraction from the eyeglasses that obscures the eye(s). If your photo(s) or digital image does not reflect your current appearance, even if it is within 6 months, the Iranian Embassy/Consulate will request that you provide a new photo with your application. Generally, if you can still be identified from the photo in your visa application, you will not need to submit a new photo. For example, growing a beard or coloring your hair would not generally be considered a significant change of appearance. If the appearance of your child under the age of 16 has changed due to the normal aging process, he or she will generally not have to provide a new photo. However, the acceptance of your photo or digital image is at the discretion of the Iranian Embassy/Consulate where you apply. When taking a photo of your baby or toddler, no other person should be in the photo, and your child should be looking at the camera with his or her eyes open. Tip 1: Lay your baby on his or her back on a plain white or off-white sheet. This will ensure your baby’s head is supported and provide a plain background for the photo. Make certain there are no shadows on your baby’s face, especially if you take a picture from above with the baby lying down. Tip 2: Cover a car seat with a plain white or off-white sheet and take a picture of your child in the car seat. This will also ensure your baby’s head is supported. Apply today and get your Iran visa approval in only 2 days! Main Office: Ul. Lindleya 16, 02-013, Warsaw, Poland. Iran Office: No. 110, Hashemiyeh Blvd. Mashhad, Iran. getiranvisa.com is a commercial website of TravelToPersia Sp. z o.o. tourism company. It is not an official website of Iranian government.